Feeding my son is among the top concerns I have as a mother. Aakarsh is a picky eater and gives me a tough time while feeding him. Even if he has his favorite food on the plate, he still finds ways to skip eating and plays it out. I know that if I struggle more with feeding him, he will be more determined to defy me. So I make sure he eats as he wishes and there is absolutely no force. I know that if he's happy, he eats without fuss. So the first step is to provide him a comfortable seating during mealtime to keep him happy. To serve the specific purpose, The First Years has come up the Disney/Pixar Cars 3 Feeding Seat which offers a contoured and comfortable way for your little racer to reach the table. 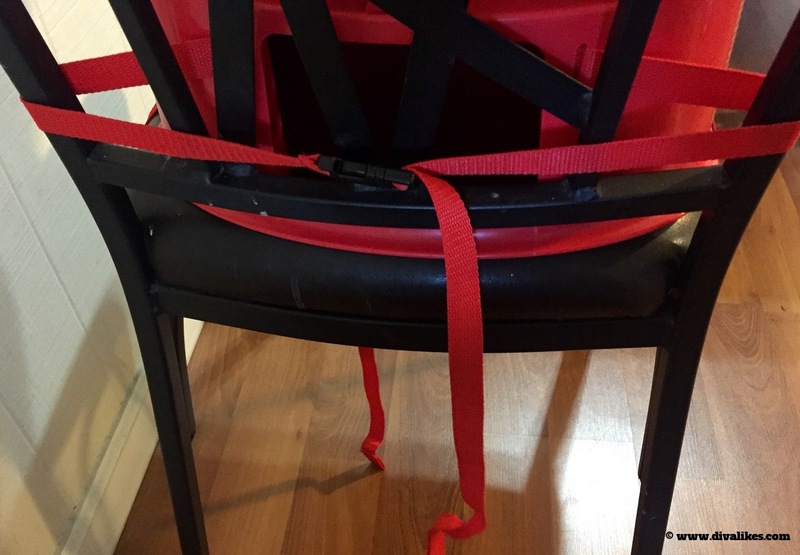 We are using the feeding seat from some time, and here are my views about it. Disney/Pixar Cars 3 Feeding Seat comes with a three-point safety harness and straps to secure the booster to a standard adult chair. The seat can be easily placed on any dining chair and it gives your child a chance to have meals along with their elders. 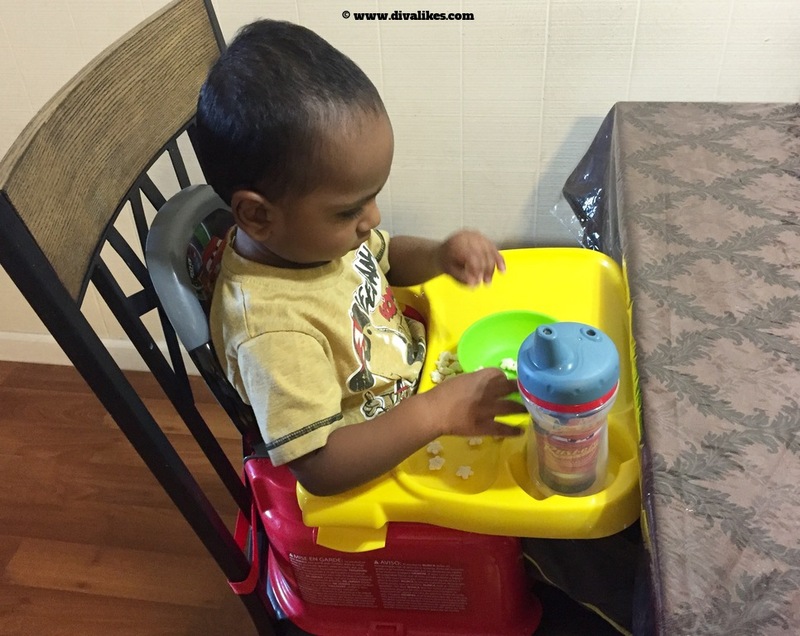 After we started using this seat, Aakarsh is quite pleased to join us on the table during mealtime. Personally, I feel that it helps in building social skills, manners, listening, and communication skills while enjoying food with comfort. 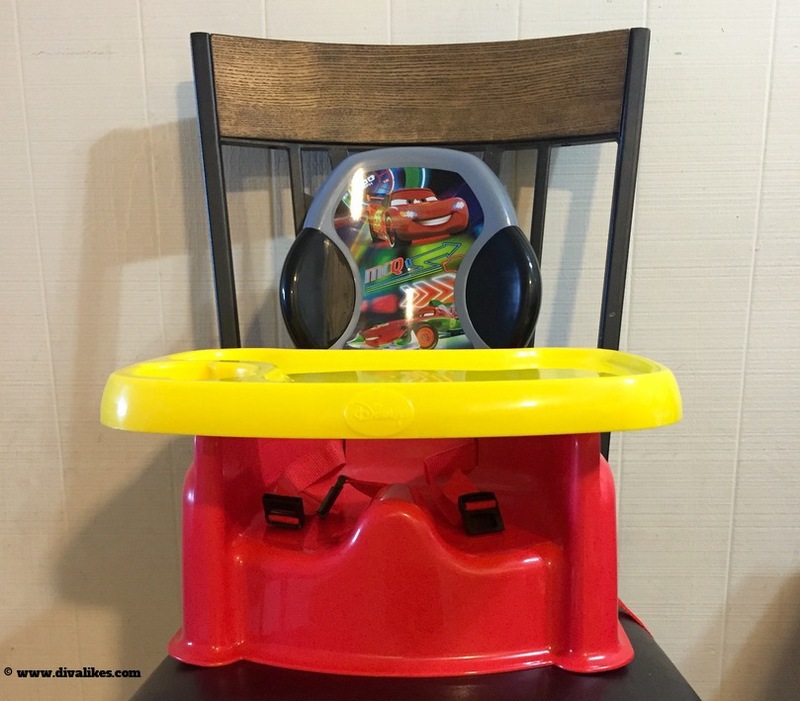 The booster has an adjustable tray with cup holder which makes it easy for the child to place his plate, eat any snacks or finger foods along with having the sippy cup at their reach. For babies who are just starting to self-feed, this tray is of great help as it leaves no mess around. 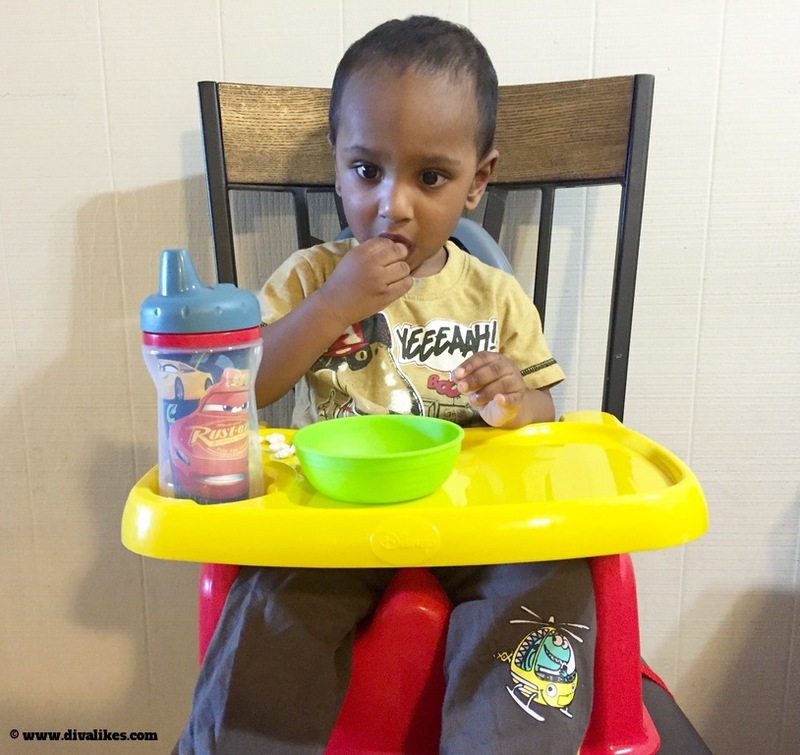 Aakarsh is not much into self-feeding but joining us at the dinner table and watching us eat is definitely making him try out different foods on his own. This versatile booster seat accommodates an effortless way to have hygienic mealtime. You can use Disney/Pixar Cars 3 Feeding Seat right from the age of 6 months up to 50 lbs. So if you have an infant or a toddler, you can use it for both. The seat has a fold-down back for easy storage and transport when you're ready to hit the road. This is such a wonderful feature as it helps us during our weekend trips and vacations. We now have one less to worry about when we are away from home! The First Years Disney/Pixar Cars 3 Feeding Seat is now available at Target for $17.69. Now that Disney/Pixar Cars 3 is out in the theaters near you, don't you think it is about time you get this feeding seat to shower some love on the movie as well as your child? Disclosure: This is a sponsored post. 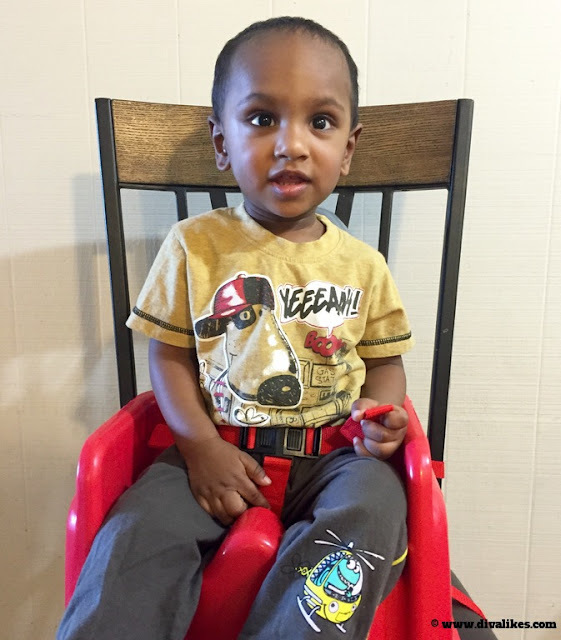 I received The First Years Disney/Pixar Cars 3 Feeding Seat at no cost to facilitate this post. All opinions are my own.